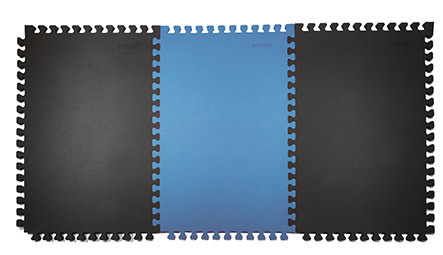 Manufacturers and distributors of Sportag® Linkamats. Whether for general exercise, aerobics, pilates or yoga, the Linkamat is superb for creating a safe and cushioned exercise area. The soft feel of the Linkamat belies its superb strength and shock absorption. 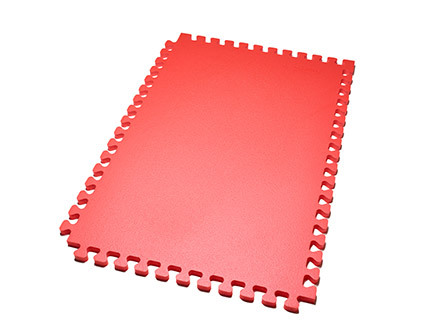 The extra length of our mats – 1.42 metres – means a single mat can provide a generous area for home use, while mats can be joined lengthways or sideways to provide a larger area for tumbling etc. Agility Sports Products are the sole manufacturers and distributors of Sportag® Linkamats. We're a family firm and our mats are produced entirely in the UK, where they've been used by clubs, schools, colleges and professionals for over three decades.